Surfing’s two-time World Champion John John Florence (HAW) and newly crowned World Junior Champion Finn McGill (HAW) will headline the 2018 Volcom Pipe Pro, a Men’s QS 3,000 event, that will take place in the hollow barrels of Pipeline, January 29 through February 10. The event is known to draw the world’s finest to the North Shore of Oahu, including a handful of elite CT athletes mixed with local and international pros, all who are lined up to compete in the expanded 144-man field, set to take place over the best four days of surf. 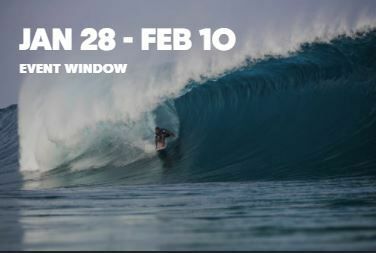 The 2018 Volcom Pipe Pro will run on the four biggest and best days of surf within the holding period, determined by contest officials, and will be broadcast LIVE via WorldSurfLeague.com, the WSL app and Volcom.com/pipepro. Tune into Spectrum SURF Channel for their live and replay television coverage of the 2018 Volcom Pipe Pro on digital channels 250 SD and 1250 HD across the state of Hawaii. Now in its ninth year, the Volcom Pipe Pro has seen only four winners claim the event title, with the competition being dominated by Florence’s four victories in 2015, ’13, ’12 and ’11; 11x World Champion Kelly Slater (USA) with two in ‘16 and ’14; and Jamie O’Brien (HAW) and Soli Bailey (AUS) each taking home one win in ’10 and ’17 respectively. Bailey, the defending event winner, will be seeded into the Round of 64 with other top-name surfers like Hawaii’s Sebastian Zietz and Ezekiel Lau, and California’s Conner Coffin, who recently won the Vans World Cup QS10,000 at Sunset Beach in December. Rounding out the remaining CT athletes in the field are Joan Duru (FRA) and Ian Gouveia (BRA). Hot off Florence’s World Title victory for Hawaii in December, Finn McGill (HAW) of the North Shore became the 2017 Jeep World Junior Championship earlier this month in Australia and added to the Aloha State’s winning streak. Out of eight possible World Champion titles that WSL recognizes, Hawaii currently holds half of them and is close to securing one more to tip the scale. Celebrated waterman Kai Lenny (HAW) leads the 2017/’18 Big Wave Tour and could lock in the title after the season wraps on February 28. Lenny will compete in the Volcom Pipe Pro following the Sunset Open, the region’s first event of the 2018 QS season. McGill, 17, is a proven front-runner at Pipe and made international acclaim after winning the 2016 Pipe Invitational for a slot into the year-ending CT stop, the 2016 Billabong Pipe Masters. Midway through 2017 he suffered a broken ankle, but focused on recovery and rehabilitation to make an appearance in the Vans Triple Crown of Surfing. With a strong comeback as the 2017 World Junior Champion and even more recently, winner of the Sunset Pro Junior, McGill is eager to compete against the planet’s best Pipe surfers and earn a share of the $75,000 prize purse. Due to the high demand of entries for the Volcom Pipe Pro, contest organizers secured the fourth day of competition to increase the field from 112 to 144 athletes and features 42 percent local representation. Eighteen different countries will shake up Hawaii’s highly skilled arena of watermen as Volcom continues to provide a unique opportunity for both local and international competitors.